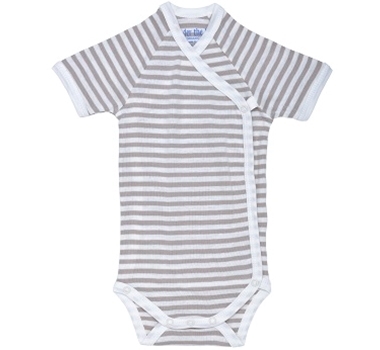 Neutral and unisex tan stripes looks great on every boy and girl baby and coordinates with same color animal print garments. The cotton used for this product is grown on a biodynamic farm without the use of pesticides or insecticides. There are not any chemical finishes on the fabric, only natural starches. The cotton is whitened using an oxygen-based whitening process. Dyes are made with metal-free colors, containing no harmful chemicals such as AZO agents. This translates into softer, cleaner fabric that is more gentle on your baby's skin and the environment.